Many of us have an exaggerated image of the business world — that it’s all about making heartless decisions based solely on profits, not people. But what if you could build a business that had a transformative effect on your customers’ lives? And what if you could profit at the same time? Morgan Dix has built two businesses that enable his customers to transform themselves. The first one teaches meditation, and the second one teaches people to build a platform for their ideas. Morgan’s story is this month’s Hero’s Journey feature. We’re tapping the collective wisdom of our community members to bring you reports from the front lines of the content marketing world. See all the Hero’s Journey posts here. Read on as Morgan tells his story. Morgan Dix: In 2013, I co-founded AboutMeditation.com, an educational website that helps people learn how to meditate. Through articles, a weekly podcast, online courses, and an online community, we demystify the process and practice of meditation. I used the Problem > Agitate > Solve content equation I learned here on Copyblogger to identify that people struggle mightily with maintaining a consistent meditation practice. So that’s one of the chief problems we address through our content and courses. We help our audience understand that meditation is as natural to human beings as breathing. But like any new skill or art, it takes time, patience, and practice to develop. A lot of people pull the ejection cord on meditation way too quickly because it’s hard to know if you’re flying in the right direction. We provide simple instructions and lots of context so you can see where you are in the process at any given moment. With meditation, that kind of perspective and orientation is super important. I also feel it’s important to communicate out of the gates that meditation isn’t exclusive. You don’t have to be a monk, martial artist, hippy, or guru to develop a rich and rewarding practice. Meditation has really gone mainstream. I relish the cosmic irony that mindfulness meditation is now seen as a go-to performance-enhancing practice on Wall Street. Morgan Dix: We have three levels to our offer — free, registered, and paid. Our free offer includes a multi-author blog, a podcast, and guided meditations. The blog features how-to articles, personal reflections, and introductions to different meditation techniques. On the podcast, we interview teachers, tech mavens, scientists, and inspired practitioners who share different perspectives and stories related to meditation, mindfulness, healing, and health. We also include occasional guided meditations on the podcast. In our registered level, we offer people a more curated experience with a self-paced three-part meditation seminar exploring how meditation is a great antidote to the stressors of modern life. Folks can also access more premium guided meditations at this level. And finally, we offer a series of paid online courses (all self-paced) that walk people through the basics of meditation and provide a broad orientation. We also offer a more advanced course. One thing I’m proud of is how we iterated during the creation process of one of our first products. We created a free 16-part meditation mini course as a lead magnet. That did pretty well in terms of email conversions, but we realized that the course was too long for a lead magnet. People weren’t finishing it. So, we scaled it back to five core lessons. A little more than 6,000 people took the mini course over 14 months. For us, that uptake and the feedback we received was clear proof that the product worked. Then we relaunched the mini course for $ 20 with new branding. Using our email lead nurture cycle, we are selling one a day as the base of our product line. Our unfair advantage is content marketing. Studying and applying the principles from the Copyblogger playbook has helped us develop some real authority in a competitive market dominated by a relative few. In essence, the Copyblogger approach has helped us build our minimum viable audience. It’s helped us build a great email list, rank high in search engine results, continually extend our reach, build our network, and improve our offerings. Morgan Dix: I started my business during a transitional period in my life. I’d worked in nonprofit education for 16 years in the employ of others. I wanted to strike out and start something new. This business married three of my passions: meditation, marketing, and writing. I wanted to create and mold something with my own hands, so to speak. I wanted creative freedom. Joining with my business partner on this project made that possible. Before I did anything, I read through most of the Copyblogger ebooks. I wanted to sharpen my copywriting craft and everyone pointed me to Copyblogger. Slowly but surely, I applied the principles. Soon our blog was getting more social shares. Then, organic search engine results to our content started to multiply. We started the podcast a year ago and 75,000 downloads later, we’re reaping the benefits in terms of audience reach and growth. When I first started with online business, I didn’t appreciate that it’s a long game. But I do now and I must say, that mindset shift makes a huge difference. That perspective enables me to appreciate the slow and steady progress of growth. There’s something inexorable about content marketing. You keep showing up and creating great content. You get better at it. You refine and test. You find more dots to connect. You learn more about your audience. And most importantly, you find out how to serve them better. And you’re always building something that’s generating value, fans, respect, attention, legitimacy … and authority. I love that. There’s so little waste and so much learning. Morgan Dix: A while back, we discovered my wife was expecting. Although About Meditation was growing, it didn’t provide a living wage yet. I needed to shift gears and do something right away that would generate revenue faster. So, I launched MorganDix.com and leveraged the copywriting and content marketing skills I’d developed with About Meditation to help other people build their own platforms. I immediately had more work than I could manage and a reliable source of income. On one level, I felt relieved and grateful. On another, I felt like it wasn’t a big deal. I’ve internalized the platform-building process and it’s becoming more instinctive. 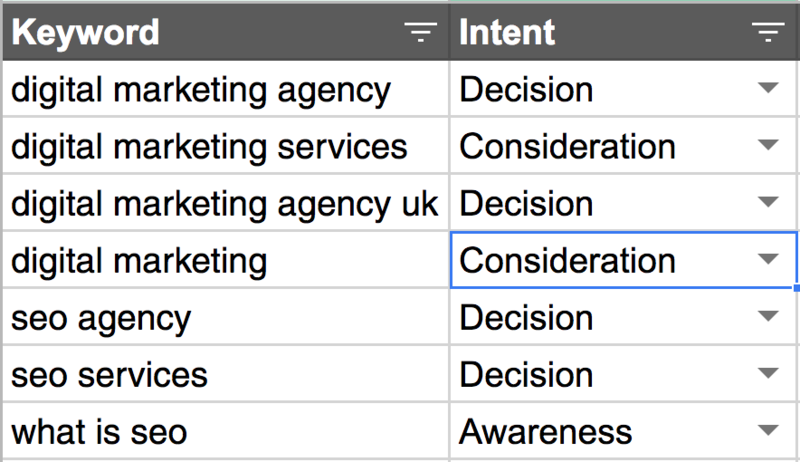 One thing I love about content marketing is how flexible and empowering it is. 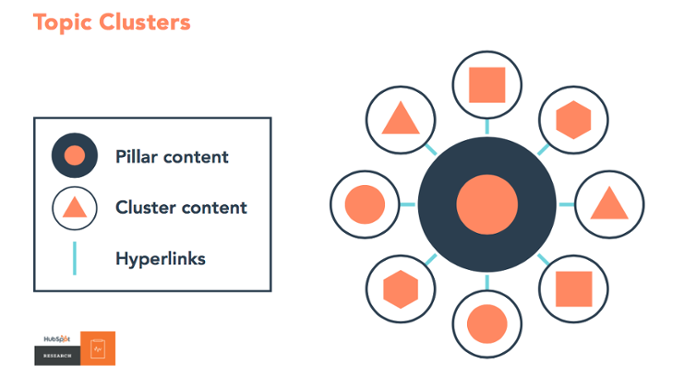 You can apply content marketing across so many fields of business, areas of expertise, and interests. Consequently, I feel like it’s easier to see business opportunities. I love helping other people see that in their own work. Morgan Dix: Lately, we’ve started to outsource a lot of tasks and processes that I used to do for About Meditation. That’s made a big difference and freed me up to spend my time working on the things I do best. Another major success is our podcast. It feels like the gift that keeps on giving. Of all the things I’ve done, this feels like it’s established the authority of our platform more than anything else. The connections we make through the podcast open up new business opportunities and extend our reach. The more intimate nature of the content creates a richer relationship with our audience. Morgan Dix: We use the Rainmaker Platform and we love it. We use the podcasting functionality for our podcast. We use the learning management system for our courses and the landing pages to sell them. Morgan Dix: We’re about to launch a redesign of our site with the Altitude theme. We plan to launch a membership site later this year and a podcast network in 2017. We’re also launching a multi-author blog. We’ve invited six new bloggers and meditation teachers to become monthly columnists for our platform. It’s exciting to feature a variety of new voices on the site who will provide a more diverse range of content. That is launching this month. Thanks to Morgan for appearing in our Hero’s Journey series. Morgan honed his authoritative voice and content marketing skills inside Authority, our membership site for advanced content marketing training. To build that type of authority for your own website, put your name on the Authority interest list by clicking on the button below. We’ll let you know when doors open again. The post An Uplifting Journey from Meditation Authority to Bold Business Builder appeared first on Copyblogger. The post My Tech Startup Journey: Learning How To Fund A New Software Company appeared first on Entrepreneurs-Journey.com. At every stage in the marketing funnel, it’s crucially important to empathize with your customers’ interactions with your business, feeling great about the high points and frustrated by the lows. In today’s Whiteboard Friday, MozCon 2014 speaker Kerry Bodine shows us all about customer journey mapping—a tool that allows us to visualize and learn from those experiences. Hi, I’m Kerry Bodine. I am a customer experience consultant, and I am the co-author of a book called “Outside In.” The subtitle of the book is “The Power of Putting Customers at the Center of Your Business.” That’s really what I am all about. I try and help companies to take customer knowledge, customer insights and really bring it into their organization, so that they can become more customer-centric. What I’d like to share with you today is a tool from the customer experience world that I think is really critical for every marketer out there to understand. 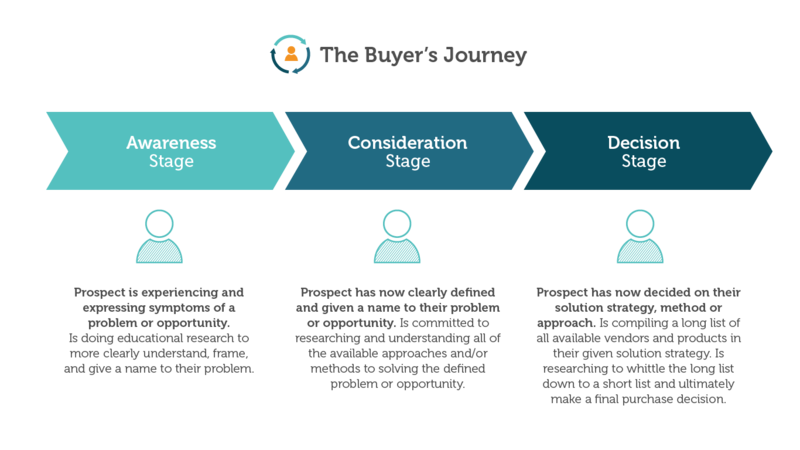 It is called a “customer journey map.” Really simply, all a journey map is, is it’s an illustration that shows all the different steps that your customers go through as they do business with you over time. In addition to showing just what they do, it also shows customers’ thoughts, their feeling, and their emotions. The goal of the customer journey map is really to get a holistic view of what the customer is going through from their point of view and really what it’s like for them on a personal level, that human level. I’ll share a little bit about how customer journey maps work, and we’ll wrap up with how you can do this yourselves within your own organizations. What I’ve got behind me here is the start of a customer journey map, what this typically looks like. As you can see, as customers interact with you, it’s not just a straight line. Some of those experiences are going to be better, and some of those experiences are going to be worse. What you want to do is you want to track what those actually look like over time. Now ideally, you are going to be understanding where those bright spots are. Those are the things that your company is really doing well to help meet your customers’ goals. You’ve also got to understand where things aren’t going so well for your customers, where you’re not delivering the value that they’re looking for, where you’re making it really difficult just to do business with you, or where you’re just not treating them as a human being. You’re treating them as just kind of a line in a spreadsheet or maybe a record in your CRM system. We’ve got to really understand our customers at a human level. Those are the types of steps that you put on here. As you go along, your customers are learning about your products and services, and then they’re buying them hopefully. At some point, the traditional role of the marketer ends. The rest of the customer journey, maybe receiving those shoes in the mail if they’ve ordered them online and then trying them on, and if they don’t fit, maybe the process of returning them, that all happens after that purchase point. We’ve got half of this customer journey that’s really all about making promises to the customer. This is what marketing is traditionally set up to do. They are set up to help customers to understand why it’s going to be so amazing to spend money with their particular company. All of these different touch points here are in the service of making a promise to the customer about what they’re going to get after they’ve purchased from you. All of the touch points that follow are really about delivering on that promise. As you can see in this journey, the organization really didn’t deliver well on whatever it was that was promised during this phase over here. The interesting thing is that not only do marketers need to care about these journey maps, but everyone else in the organization does as well. While marketers might be primarily responsible for this process of making promises, there are many, many other parts of the organization that are primarily responsible for delivering on those promises. You’ve got people who are working in customer service, in retail, in finance, in operations, behind the scenes, in parts of the organization like legal and IT, parts of the organization that never even talked to a customer typically during their employment at that company or maybe in their entire careers. These journey maps can help to unite all of the different parts of the organization. It can help someone in marketing understand really what they need to be promising in order to have expectations set correctly for the end of this process. It can also help people who are responsible for delivering the rest of the customer experience. It can help them understand really what that pre-purchase experience is like and really what is being promised to customers. This is really an effective tool at helping to break people out of their organizational silos, getting them to understand that holistic customer viewpoint across all the different touch points, and getting people within the organization to have empathy for each other, their fellow colleagues, or perhaps external partners, who are all playing a role in delivering this journey behind me. How can you do this yourself within your organization? What I want to do is share with you a very simple method for doing journey mapping with any group. All you really need is to have a whiteboard like this, or maybe you’re going to have a big sheet of butcher paper that you can get at any office supply store. You want to have some markers. I typically like using Sharpie markers, because you can read them from a distance. My very, very favorite tool for doing this, packs of sticky notes. All you’re going to do is you’re going to write down each step in the customer journey on a different sticky note. Then all you need to do is put them up on your whiteboard or your piece of white butcher paper in the order that the customer would go through their particular journey. I mentioned buying shoes before, and what I’m putting up here are all the different steps that a customer might go through if they were buying shoes from your company. They’re going to search for the shoes. They’re going to follow a link to a website. They’re going to learn about the product. They’re going to buy the shoes. They’re going to wait to receive them. Then they’ll finally receive them. They’re going to try on the shoes, and they’re not going to fit here. They’re going to go to the website, but they can’t find the returns information. They’re going to call customer service. They’re going to get the return information. I’m running out of room here. They’re going to print a return label. They’re going to box up their shoes, and then they’re going to drop the box off at the shipper, UPS or USPS, whatever it is that they’re using. That’s really the basic building blocks of creating a journey map. It’s just going through and mapping out step by step what the customer is going through. I like using stickers for this. You can get red and green stickers at your office supply store. You can use markers. The idea is that you’re going to note where the different steps in that process are going well and then maybe where those steps start to go south. 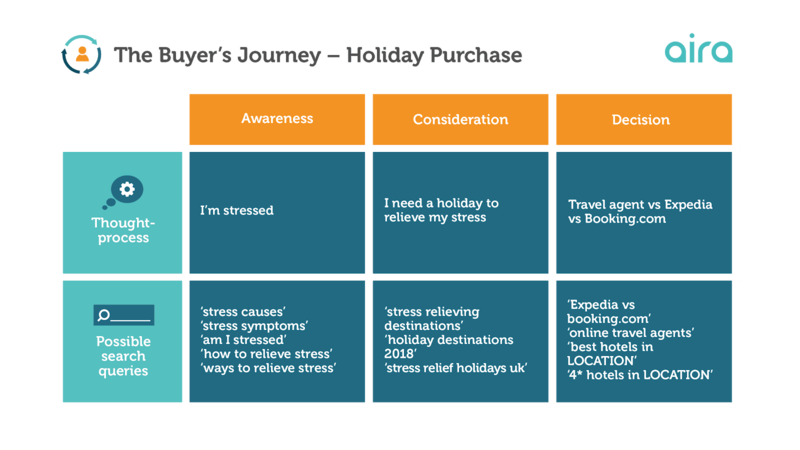 This will give you a really good depiction of where the problem points are in your customer journey and where you need to focus on improving interactions to better meet your customer’s needs. You can go a lot further with this. You can start detailing what your customers are thinking and what they’re feeling. You can add those in on different colors of Post-it notes. You can also denote all of the different touch points that they’re interacting with. Are they talking to the call center? Are they on the website? Are they on Google? Whatever those touch points happen to be. You can even dig down deeper into the organization to start to identify who is responsible for all of those different interactions, so that again you really know where you need to be focusing on fixing the systemic problems within your organization. What I would recommend that you do is conduct this type of exercise with people from across your organization. I mentioned that this is a really great tool for breaking down organizational silos. Really, that’s only going to happen if you get the people from all of those different organizational silos involved in creating this diagram. Hold a half-day workshop. Bring in people from all the different parts of your organization, maybe some of your key partners, and map out what you think this journey is based on your best assumptions about customers. But don’t stop there, because, often, what we find are that our assumptions are either wrong or they’ve got big gaps in them. The second step to this process is to bring customers into the workshop and have them validate this. The beauty of this is that when you’ve created this out of sticky notes, your customers are going to have no problem going up and removing sticky notes, adding new sticky notes, moving them around so that the journey more accurately reflects what it is that they go through when they do business with you. That is Journey Mapping 101. I hope that I’ve introduced you to a tool that you can use within your organization. If you would like more information about customer journey maps, please visit my website. It’s KerryBodine.com/CustomerJourneyMaps. Thanks very much. I purposely tried to overwhelm people and to show just how much the landscape is changing, but the truth is that this was just one part of the big picture. So, I’d like to take a deeper journey today â a trip through Google’s “answer box” â to show not only how SERPs are changing, but how the answer box reveals the direction and power of Google’s Knowledge Graph. Most answer boxes are primarily text, contain a relatively short answer (when possible), and may give limited information about the source of the answer. Seeing is believing, so let’s jump right in. Everybody loves celebrities, right? According to the supermarket checkout aisle, they’re just better than the rest of us. Let’s start with some answer boxes about people. Sorry, ladies (and gentleman, depending on your persuasion), the short answer is: “yes”. 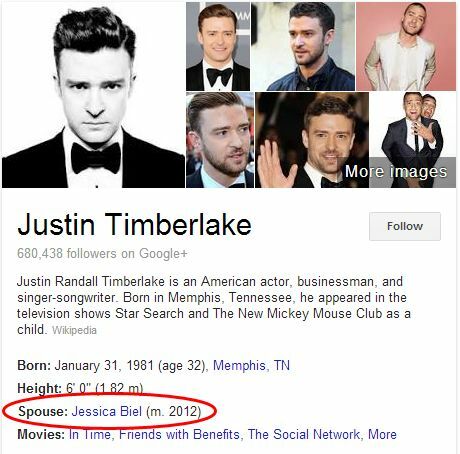 This same wedding also took Jessica Biel off the market â I feel like the government should have gotten involved. Was Abe really that tall, or were all the other Old-Timey people just really short, so he seemed tall by comparison? Turns out, he was pretty tall. So, the other day, I’m listening to “Summer of ’69″ and I started wondering how old Bryan Adams actually was in 1969. Turns out, he was barely 10 years old, and he wants us to believe he started a band? I’m on to you, Bryan Adams! I’m not crying â that’s just fairy dust in my eye (hat tip to @scheidja)! A serious note: If you’re ever in Westminster Abbey, take a moment to realize that your standing on the graves of kings, queens, and poets. Did you know that Conan went to Harvard? You do now. I’d like to apologize to our friends down under for our bizarre fascination with you during the 80s. 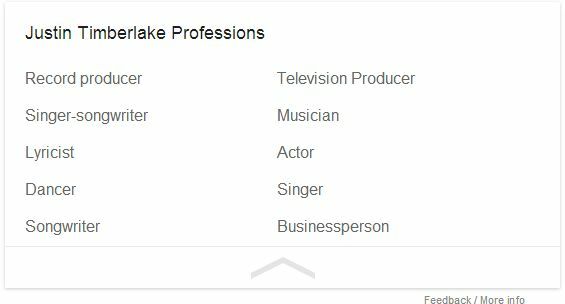 Point of fact, though: Crocodile Dundee is legitimately Australian. If you’ve ever wondered why the internet exists, here’s your answer (hat-tip to @BradyDCallahan). Athletes are people, too, or so ESPN tells me. The sports realm has a number of unique answer boxes. Oddly, this seems uniquely available to athletes, for the most part. No word on what Victoria Beckham is cashing in these days. When you need to settle a bar bet, answer boxes look good on mobile, too. Fun fact: We originally saw this for “Where is Roger”, and it brought up results for Roger Federer. Of course, we all know that there’s only one Roger. You can also access division/league stats for many pro sports. Keep in mind that these are seasonal, and only seem to appear during the active season for any particular sport. Fun fact: This answer box does not actually say “Duh”. Seriously, though. That’s a lot of hot dogs. Inferior, New York hot dogs, that is. Yeah, baby. 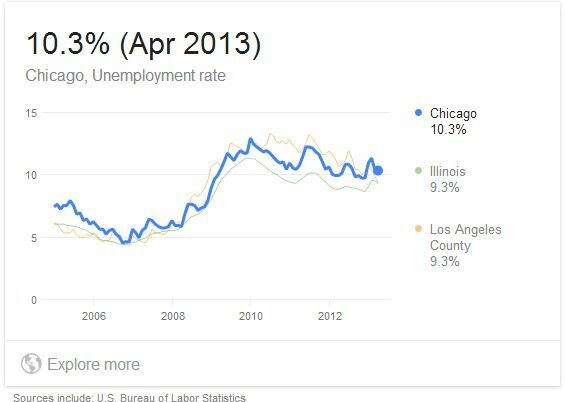 Even we Chicagoans get to win something now and then. People shouldn’t have all the fun. Places have feelings, too. Ok, they don’t have feelings, but they do have answer boxes. Did you realize that the first skyscraper didn’t exist until after the elevator was invented? People are lazy. It’ll always be the Sears Tower to me, unless we also get the Arnold Tower and Mr. Drummond Tower. Then, I might come around. When I’m packing for the home office, this comes in handy. Google has all but taken over this space from the major weather sites. If you want local weather, you can just search “weather” or “temperature”. There seem to be answer boxes for most major local, state, and Federal offices. 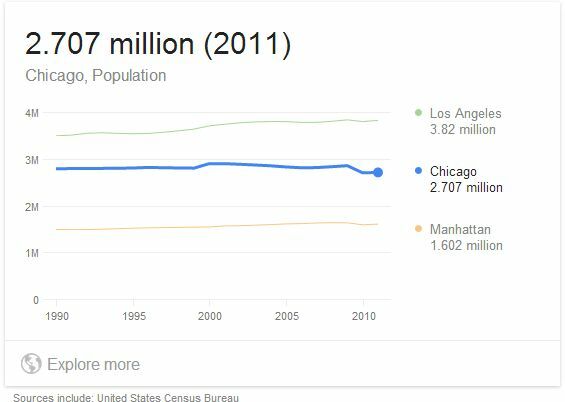 Note to self: Seattle is not the capital of Washington. 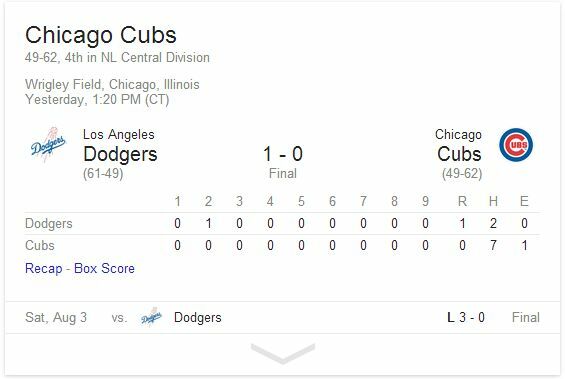 You know what Illinois’ state flower is? The violet. Way to overcomplicate things, Washington. What language do they speak in Canadia? It’s Canadese, right? Also, they have money in Canada. Who knew? It’s like they’re a real country. FYI: you have to actually know the proper form of government to get this answer box â “Canadian President” and “Canadian head honcho” don’t work. “Pretty damned big” would also have been an acceptable answer. You can ask questions about just about anything georgraphic, including the entire earth (hat-tip to @zafeuer). Then again, why restrict yourself to earth-based factoids? Ok, I meant “How far is Saturn from the earth”, but this just goes to show you that Google still has a few kinks to work out (hat-tip to @IAmPhilSharp). Sometimes, you just have to be specific. Oddly, distance from the earth is not available, but distance from the sun is. 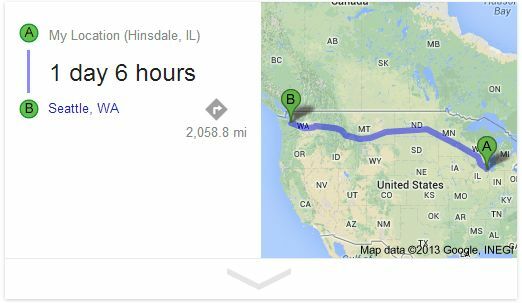 Of course, the “how far” answer box does have legitimate uses. I wonder this every time I get a “Free Cupcakes” email from the office (which is about 17 times per day). Here’s a people and planets crossover answer box. Apparently, it took a lot of people to find Neptune. Fun fact: John “Couch” Adams was the lesser known and lazier brother of our 6th president, John Quincy Adams. Questions about numbers and units often yield interactive answer boxes. 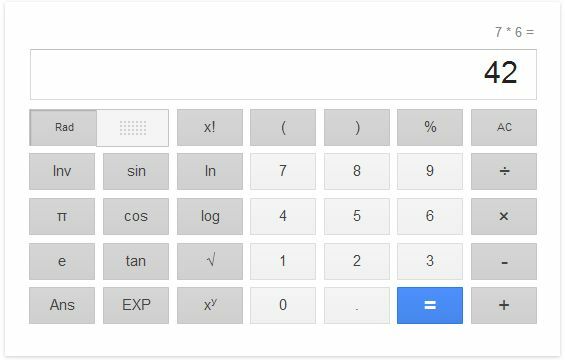 Here’s a list of conversion and calculator features. This is how long I spent in graduate school. Funny, it felt like at least 50,000 hours. Some questions yield direct answers, and not a conversion box. It could have something to do with no one under the age of 103 ever measuring things in cubits. Here’s a conversion calculator for us geeks. My first hard drive was 10 MB. Now, you can get a 1 TB external HD for $ 79.99. By the time I finish this post, they’ll be $ 39.99. Google completely took over currency conversion queries. You can also just search for “currency converter”. Some specific scientific values have direct answer boxes. You can also look up mathematical constants, like “pi” and “Euler’s constant”. Enter a mathematical expression, and you’ll get a scientific calculator answer box. Expressions can be pretty elaborate, including parentheses. Of course, if 42 is really the answer you want, then you should be asking the right question. 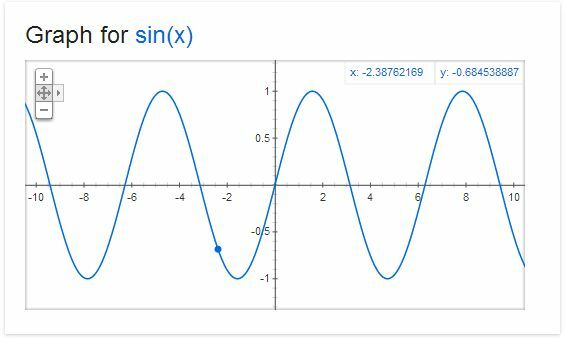 Enter a function or complex equation, and you’ll get back a two-dimensional graph. 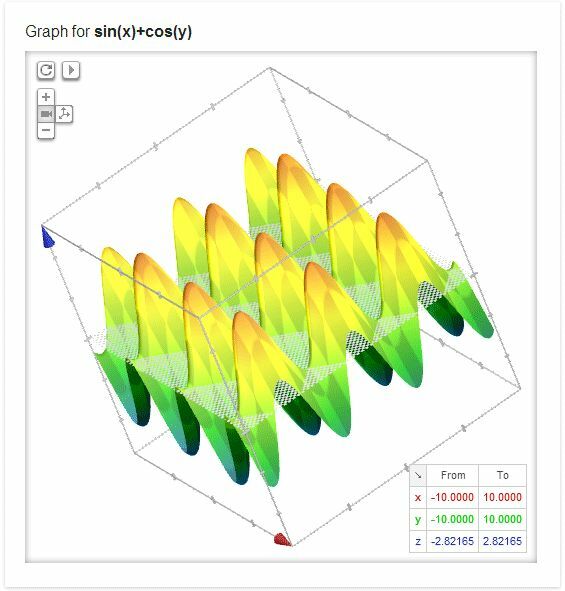 With the right multivariate equations, you can trigger a three-dimensional graph. We covered a few date-based answer boxes in the people section (like birthdates), but that’s just the tip of the iceberg for date and time questions. You can easily find the dates of many upcoming holidays, although a few minor holidays seem to be missing. In some cases, you can query the last occurrence of a holiday. 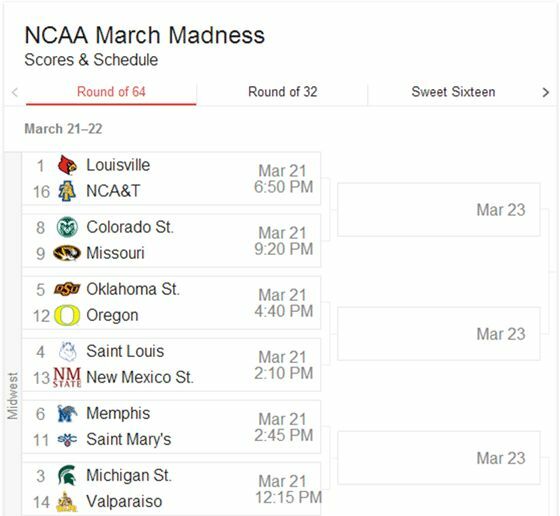 Google also shows ranges for events that cover multiple dates. Add a year to get the dates for future holidays. The year 2020 was as far ahead as I could get Google to currently go, but this may vary depending on the event. This is the proper form of the question “What happened to summer?!”. 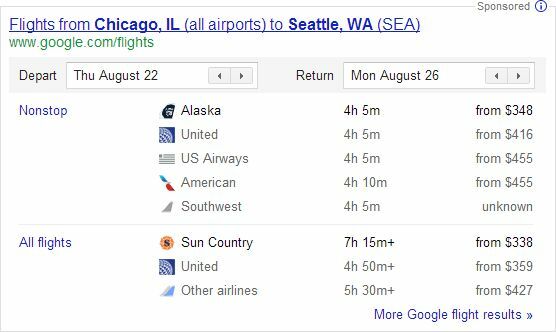 Google is personalizing more answer boxes, and queries like “time” work now. If you want the time in another location, enter sometimg like “local time Seattle”. 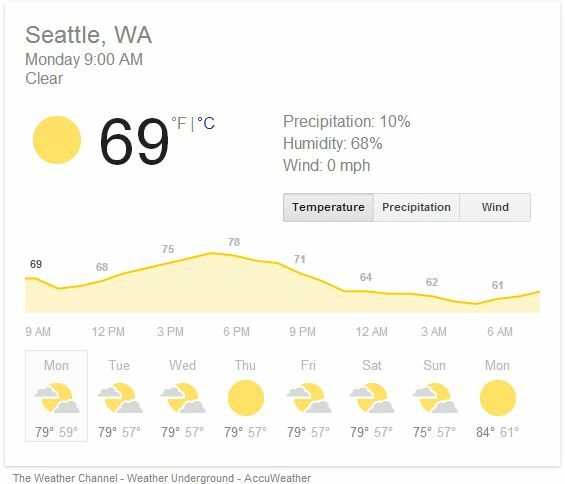 On the days when Seattle actually has sun, Google will tell you when that alleged sun rises and sets. Forget your stopwatch (and your iPhone, and your tablet…)? You can set a timer of just about any length directly through a search query. Added bonus: The alert is more obnoxious than a late-80s car alarm. Don’t you hate it when you’ve got a call scheduled with Martian clients and… ok, I really have no idea why you’d ever need this. You can’t spell “celebrity” without “le brit”, which is French for “The British”. Ok, half of that’s not true, and none of it is relevant. Here are some answer boxes about stuff celebrities do. Here’s a query I run when I want to feel l old. I was almost seven, for the record (hat-tip to @adamcarson). I ask Google this question about twice a week, just to make sure I never watch any more of his movies. Is it too early to let my 3-year-old watch the latest Batman saga? Ok, yeah, it probably is. Did you know that Stallone not only wrote the script to Rocky, but he did it in three days? Give Sly a little credit. 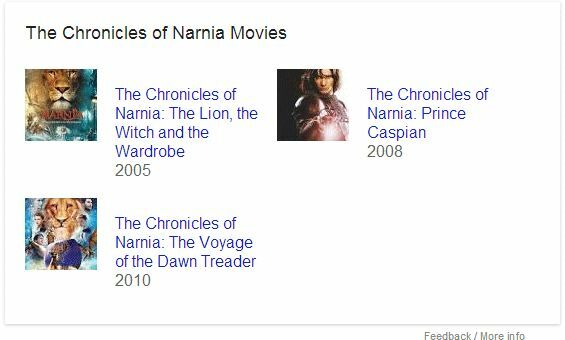 The much shorter Narnia series gets a complete list, including thumbnails. Other queries, like “Harry Potter movies” generate a Knowledge Graph carousel. Google seems to be experimenting. Purists will probably note that The Simpsons actually debuted on the Tracey Ullman show in 1987. This is why purists have no friends (hat-tip to @adamcarson). Farewell, Zan, Jayna, and Gleek. We hardly knew thee. The curse of TiVo is that I honestly have no idea when any show airs or what channel it’s on. “Believe it or not, I’m walking on air. I never thought I could feel so FREE-EE-EEE…” You’re welcome. When I want to remember which genre never to watch, I run this search. Ok, so I watch Top Chef. And Top Chef: Masters. And The Voice. And Pimp My Ride. STOP JUDGING ME! Once upon a time, there were these things called books. Don’t worry â there’s an app for that now. If you can’t wait for whatever it is you kids can’t wait for these days, then here you go (hat-tip to @KrisRoadruck). It’s not quite as great as coming up at the top of “wicked awesome composer,” but I’m still pretty jealous. For all the talk of big brands dominating the SERPs, it’s surprising how few of them currently have Knowledge Graph data. Here are a few examples of brand answer boxes. You can get direct answers for a few questions about major companies, including their founding date (hat-tip to @wilreynolds). This is also the new answer to “Who owns the Washington Post?” (although that doesn’t get an answer box). You can look up the corporate headquarters for many large companies. Finally, a few companies pull up customer service phone numbers, but this data seems fairly spotty. Here are a few answer boxes that didn’t fit neatly into any of my other categories. Want your flight status in about 17 clicks less than it takes on the airlines’ sites? Just search your flight number. This isn’t technically an answer box (See the “Sponsored” notification in the upper-right), but it goes to show how much the line between organic and paid content is starting to blur. Some words will pull up definitions in an answer box. Google may be testing an even richer definition box, which includes word origins and usage data. Translation is available for some terms, but the implementation is inconsistent at best. Google has experimented heavily in the health/medical niche. 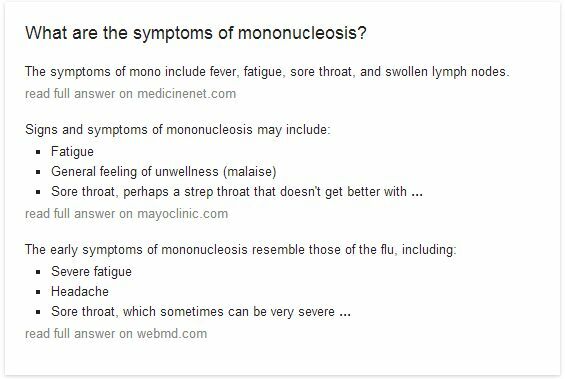 Here’s a detailed symptoms answer box that pulls data from three major health sites. 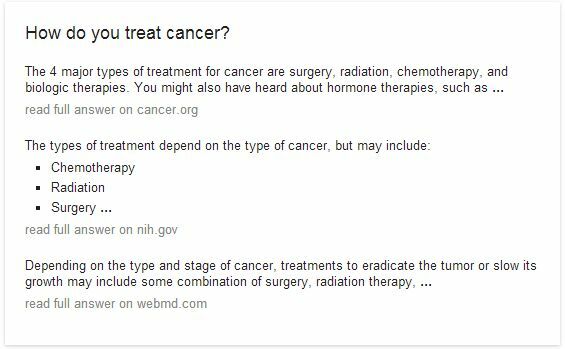 I’m not sure cancer treatment can or should be summed up in a couple of paragraphs, but Google is apparently going to try. This doesn’t fit the typical format of an answer box, but here’s a situation where people obviously can benefit from a quick answer. A few vehicles have statistics available in answer boxes. I would have expected more cars (especially high-end models) to have them, but I’ve mostly found aircraft data (hat-tip to @scheidja). Here’s one I wouldn’t expect to have an answer box â the engines on a Boeing 787 Dreamliner. So, where do these answer boxes come from? 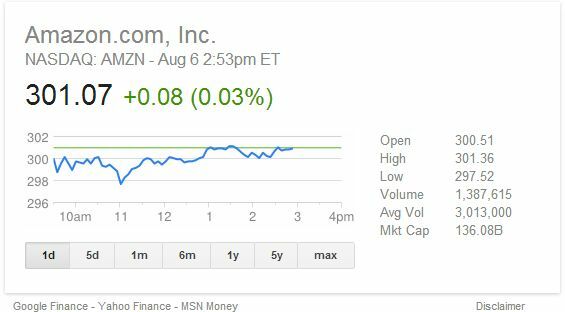 Some, like stock tickers and weather charts, are clearly custom designed and can involve exclusive data partnerships. When it comes to the factoids, though, most of these answers come directly from Google’s Knowledge Graph. 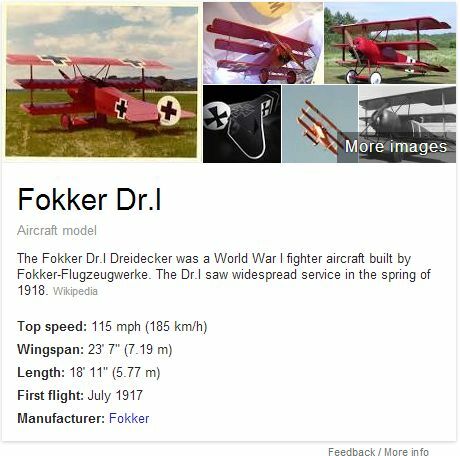 “Fokker Dr.I top speed”, “…length”, and “…first flight” all return answer boxes, but, oddly, “…manufacturer” doesn’t. I’d say that about 70-80% of the factoids I found in Knowledge Graph entries could be used to generate answer boxes, but sometimes Google was very picky about how the question was worded. This all goes to show that the Knowledge Graph is much more than just an isolated box of information in the right-hand column. 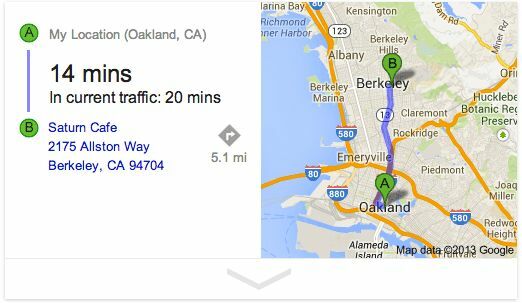 It’s fundamentally changing the nature of organic results and driving many of Google’s direct answers to questions. 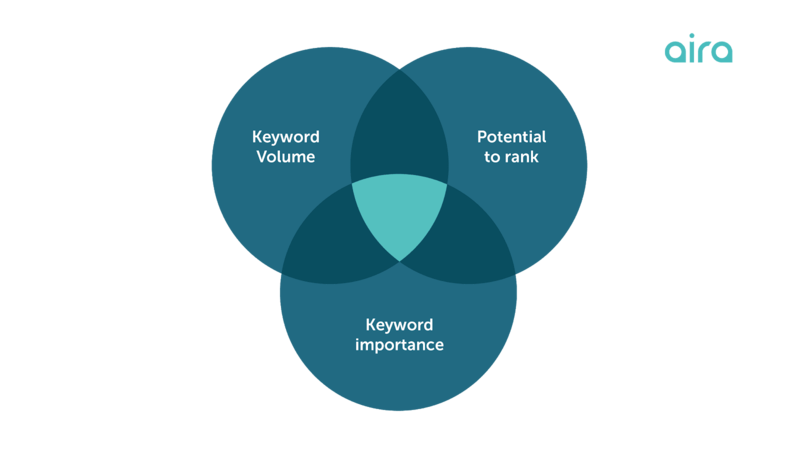 As KG continues to expand, it’s going to be critical to understand how it impacts your money keywords. It also goes to show that these 101 answer boxes are just a sampling of what’s available in the wide world of Google’s Knowledge Graph. Have any favorites of your own? Be sure to share them in the comments.